"Les québécoises goûtent mieux" proclaimed the headline on a big billboard with a group of attractive, smiling young women. Maybe it was because I was already pretty exhausted by the time I ran past it on a recent jog, but it did take me a moment to understand what exactly the message was. No, they did not advertise the tastiness of the local beauties, but indeed that of the spécialités du terroir, the foods grown in Québec. The smiling girls, supposedly, are the happy housewives snapping up the regional delecacies flooding the grocery stores these days. I had thought that the demand for locally grown foods was a typically European thing. The very notion of terroir with its countless nuances is quintessentially French, and in tiny Switzerland the two grocery chains go to great lenghts to create a sense of regional roots. Smetimes they trace foods back to a particular farmers, with the link to the farm's webcam duly printed on the carton of eggs or the pound of cheese you're about to buy. Many small farms also sell their produce directly to end consumers, frequently from little road-side stalls where you help yourself and just drop a few francs into a box. Jt's all made to be so comforting, familial and trustworthy that the tongue-in-cheek Xenophobe's Guide to the Swiss points out how happily the Swiss pay double for potatoes grown on the south and not the north bank of the Rhine. In the Swiss mindset, domestic produce is vastly superior to foreign stuff. And thanks to absurdly high import duties, the price difference remains much smaller than market conditions would really demand. God forbid imported foods could actually compete based on a lower price: Let's not put the Swiss' preference for their own farmers to the test, shall we? North America, by contrast, is the land of huge and faceless agro business, where chicken grows in wings, breasts and nuggets and milk comes from the milk factory. By and large, my Canadian grocery shopping fits this pattern, with the same humongous but bland vegetables and fruit being available at about the same price all the time, as if the year knew no seasons. And indeed it barely does, at least not in the fields of Florida or California where my bell peppers, salads or blueberries are usually grown. (For comparison, a fennel from California's Central Valley is about as local to Montréal as food from Saudi-Arabia or Kazakhstan would be to Zurich). As long as the stuff is cheap, nobody seems to care much. The organics section at my grocery store is one small rack by the back wall, barely visited by the cart-pushing masses hunting for the bright special deal signs. For a brief period in late summer though, all that changes. When the harvest from Québec's short nordic summer is in, all and sundry remember how they've always been committed to local produce, and the grocers miss no opportunity to brag about how relentlessly they work with small agricultural cooperatives to bring us the region's best. Granted, they may have sold you "extra-fresh" strawberries since April, and will still do so at Christmas, but clearly now's when they really mean it. 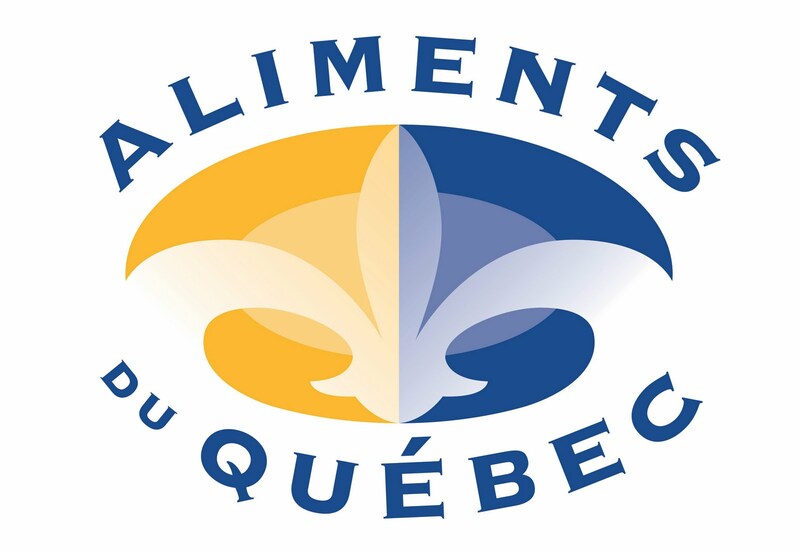 Many of my local friends jump for joy, extolling the qualities and rich flavors of blueberries from Lac St-Jean, carrots from Abitibi-Témiscamingue and apples from Estrie. Never mind that they show little or no concern for regionality as they munch their way through the rest of the year. Granted, some of this has to do with the climatic particularity of Canada: Unlike in the more temperate regions of Western Europe, the harvest season here is compact: By the time the cherries and strawberries are ripe, so are the grapes and the pears. Only a single crop of most veggies can be reaped from fields each year, round about this time as well. With the exception of seafood, game, corn and wheat, it's now or next year. Hence, traditional cuisine has been heavy on preserved foods, storable fruit, smoked meats and so on, with people beefing up on fresh stuff in late summer when there's plenty to go round. Today of course, nobody really goes back to compote and sauerkraut come November, thanks to the greenhouses in Kazakhstan California. So bonjour, my mouth-watering sweet Québecoises, of course I'll snack on you while I can!